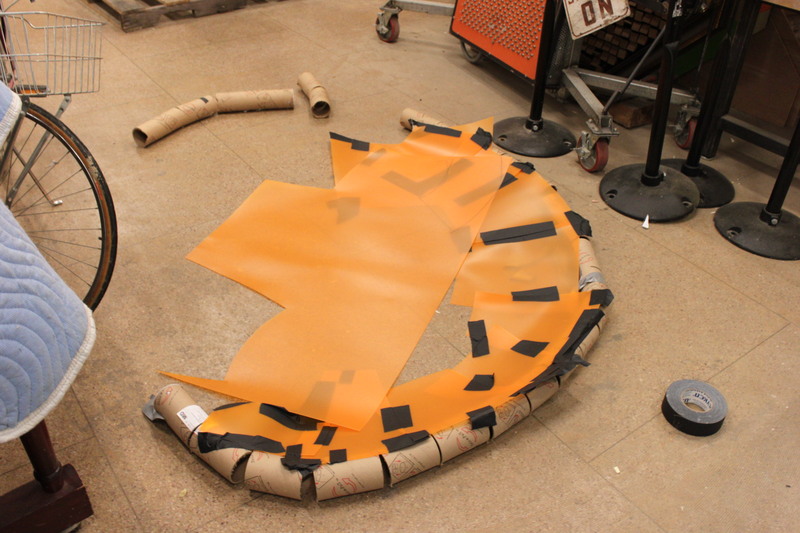 We are currently prototyping some new ideas for our newest exhibit, “Wheels”. One of the components of the exhibit involves magnetic pieces that can be put together to build your own car. 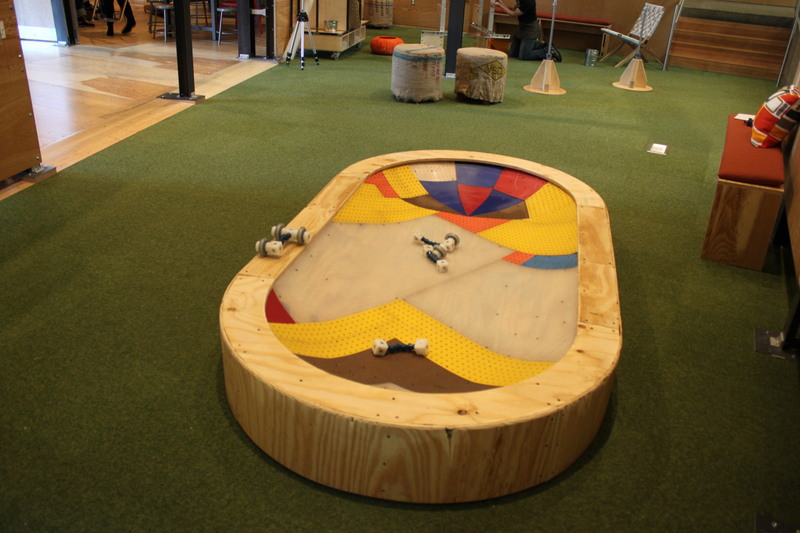 Visitors can test their cars on a mini skate park inspired track. 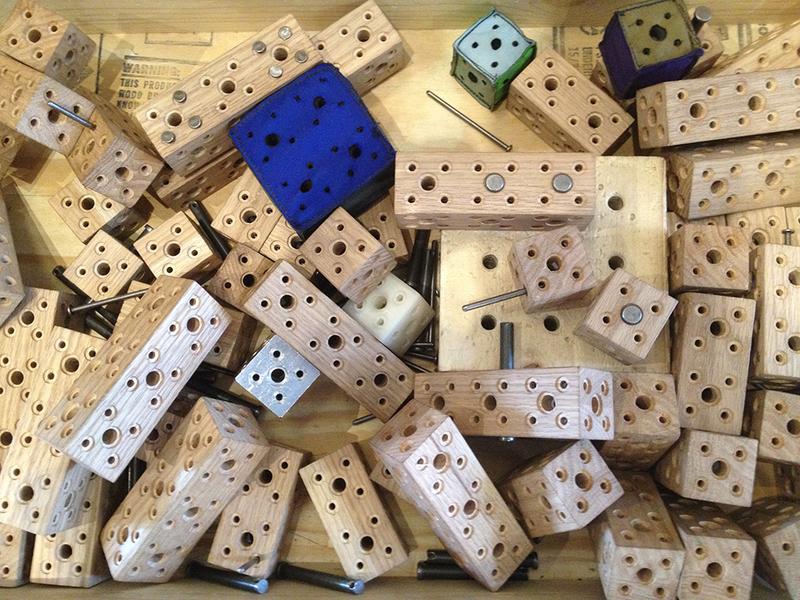 The magnetic parts are very versatile and fun to tinker with. I had fun just rolling the wheels around. We wanted to know how visitors would interact with the pieces and parts. So Nick, one of our Exhibit Technicians, and I threw together an extremely rough prototype. Basically we built a small ramp out of cardboard, recycled plastic and gaffer’s tape. It wasn’t the prettiest thing in the world, but kids still seemed to enjoy playing in it. We only left this prototype out on the floor for one day. We decided that to get more observations and interactions with visitors we would need a different prototype. The next step was to build a far more robust prototype. The exhibits team built a really awesome track out of old materials. The newest version is great. Our visitors are having a fun time simply rolling things around in our tiny skate park. It’s a very simple concept but one that seems to entertain everyone. 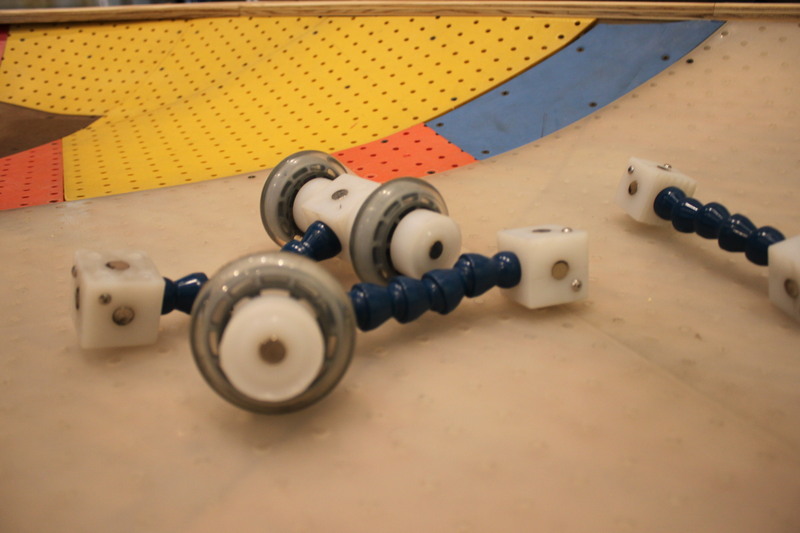 This activity is great for everyone to have fun building and playing with a rolling contraption. I am curious as to whether there will be any other versions of this prototype before the finished exhibit is completed. It is always fun to test out new projects and exhibits with our visitors. That is truly the only way to know if something will work or not. We are also prototyping another piece from the “Wheels” exhibit. It is an old treadmill that people run on, but I’ll save that for another time!